Product #18296 | SKU 51072 | 0.0 (no ratings yet) Thanks for your rating! 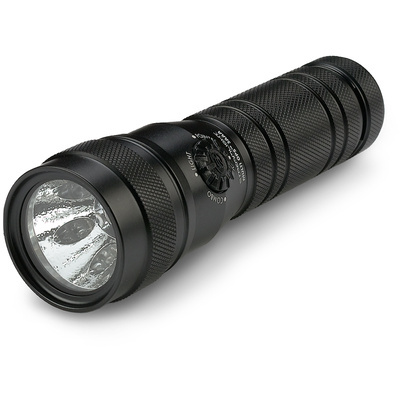 The Streamlight Multi Ops Task-Light has a bright C4 LED centered in the reflector surrounded by 5 UV (ultraviolet) LEDs and a prefocused red laser - all in a flashlight measuring just over 5" long. The Streamlight Multi Ops Task-Light is powered by 3 AAA alkaline batteries and will run for up to 4.5 continuous hours (to the 10% output level). measures 5.4" long with a head diameter of 1.57"